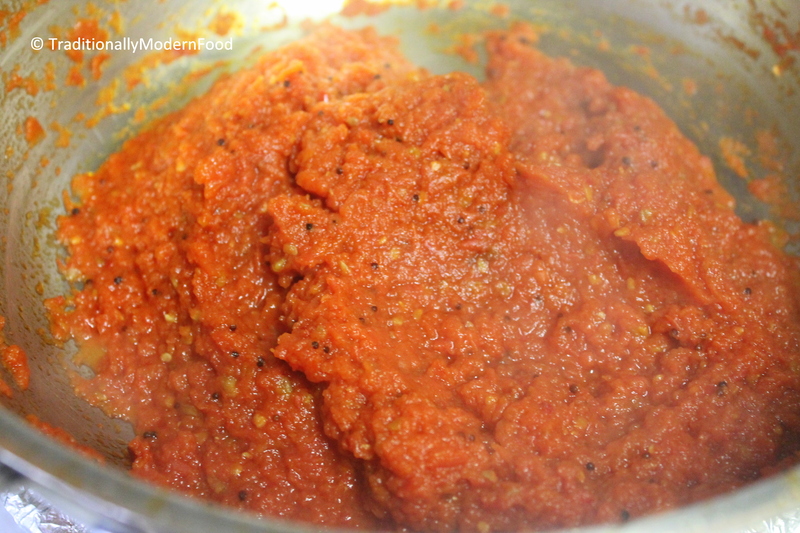 Thakkali Thokku is a traditional South Indian pickle prepared with tomatoes. Tomato pickles tastes great with tiffin items like idli, dosa, uthappam, upma etc. Whether it is taken as a side for curd rice or mixed with rice, thakkali thokku is always a winner. It can be prepared and stored in fridge for weeks. Tomatoes are perfect combination of tanginess and mild sweetness. I can’t imagine a grocery trip without buying tomatoes. Be it a gravy/chutney/soup/rice tomatoes always make the dish extra special. Tomato thokku is one of my childhood favorite. Growing up I was not a big fan of pulikaichal. Next to mango pickle tomato pickle was my favorite. Those days I use to eat pickle almost everyday. Irrespective of whatever rice accompaniment Amma makes. I always like mixing a little pickle with rice and having it for curd rice. Before marriage I have never tried preparing thakkali thokku. In Amma’s absence I try to cook something, but she always makes thokku before travel and keep it in fridge. Couple of years back I tried it for the first time. Tomato pickle was the first pickle I ever tried. I was so worried how it will taste, but We both finished the jar in no time. It is bit time consuming but taste subsides the stirring effort. 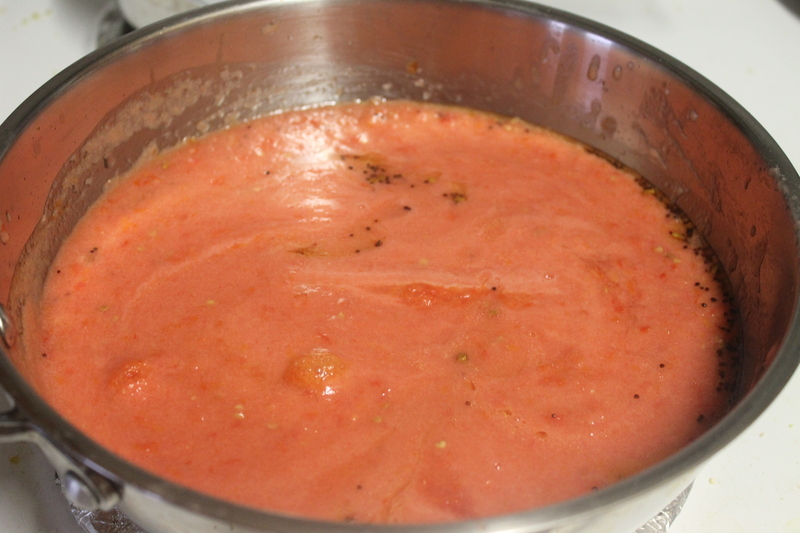 Tomatoes can be chopped finely and made thokku or rough chop and grind. Both Aammas usually grind it so I follow the same procedure. I have heard from a friend that thokku can also be prepared but boiling the tomatoes in hot water, peel the skin ;Cool and grind. I am yet to try that method. Tomato thokku doesn’t require lot off ingredients . Tomato thukku tastes great with dishes like Semiya Bagala bath or Bread Utthappam or Cracked wheat Idli or Panniyaram etc. It tastes amazing with plain rice as well! One of my favorite side dish with dosa and idlis! Love it! This looks great, I love that it’s not full of sugar!! I love tomato condiments. I would love this on a grilled cheese sandwich. This does look really good. I love things made with fresh garden tomatoes. Thanks for the recipe. Sharing on my Indian Food board on Pinterest. This looks great. Just picked tomatoes today and may have to try it. Hi vidu..Happened to see ur Facebook page only today… Really proud of u my dear…keep rocking😃..
Just a small inclusion…Adding some garlic in the oil will give extra flavour and taste to the dish….